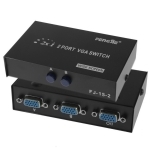 This VGA 2 PC in to 1 monitor out manual switch is autofit to you to make 2 computers share one monitor, projector. Conversely, share 1 computer with 2 monitor, projector not simultaneously. Convenient to switch, just press the relative button. No additional software. 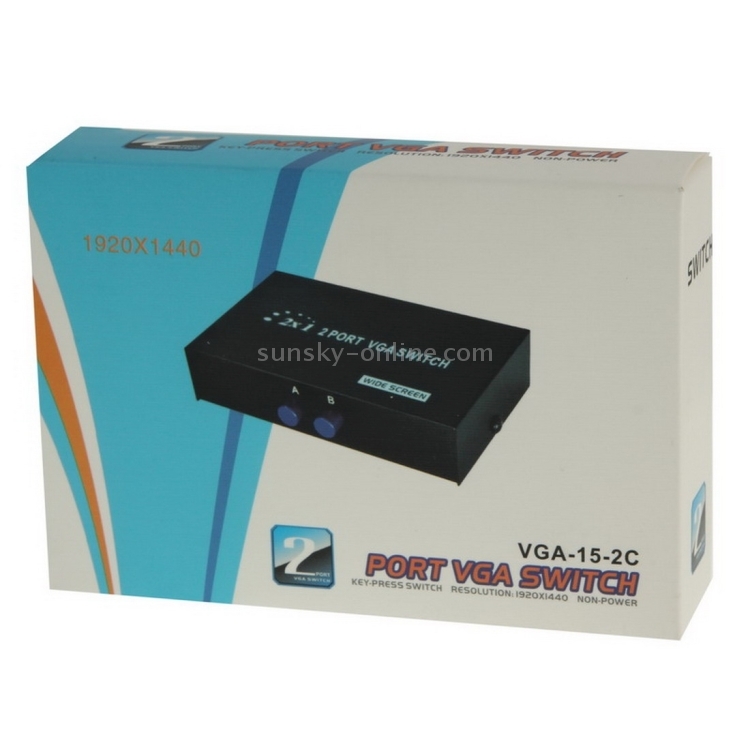 2) 3 standard VGA female ports, 2 in 1 out. 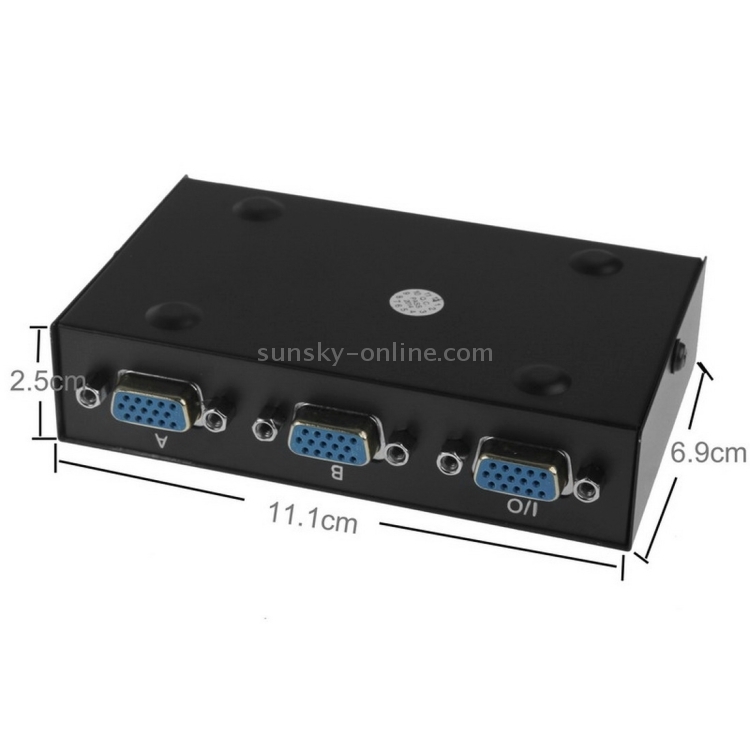 3) Enables 2 computer to share 1 monitor, projector. 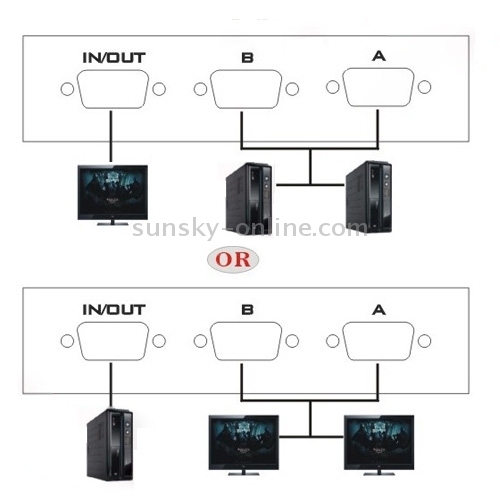 or conversely, 2 monitors, projectors to share 1 computer not simultaneously. 5) Not support DDC, DDC2,DDC2B. 6) No power supply required. 7) Plug and play, No additional software needed . 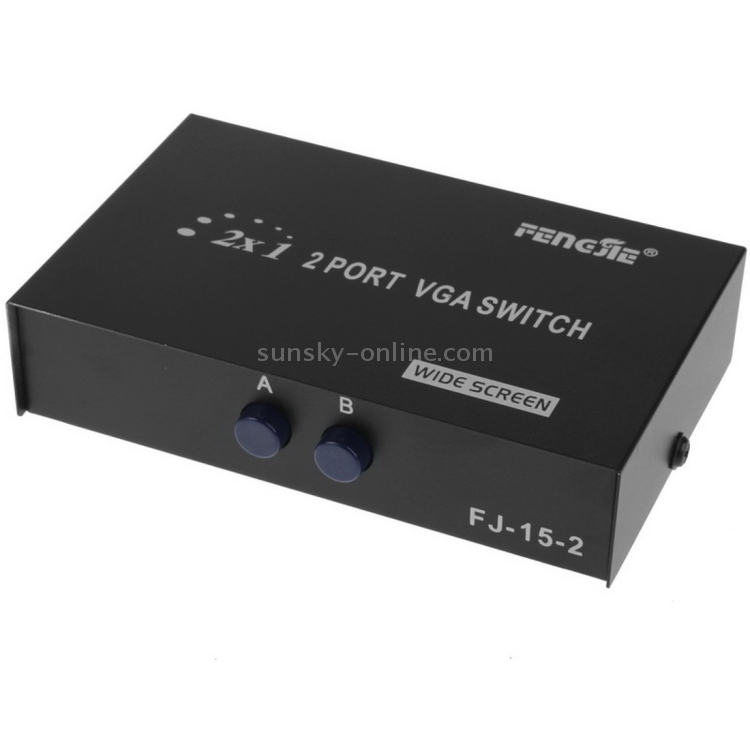 8) Two press button switch for changing the VGA signal control. 9) A VGA switch may be used in security setups where monitoring different areas of a building is required and switching between multiple inputs is a necessity. SUNSKY: Dear Friend, the diamension of this item is 11x7x2.5cm .thanks.